A kitchen in one of the residences on the property, pictured before the Miles’ bought the property. 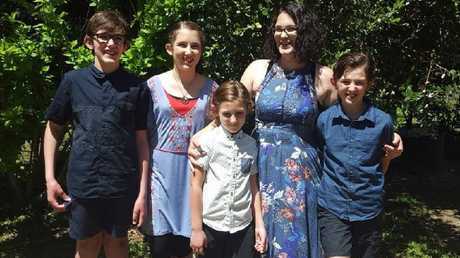 THE rural property in Western Australia where the bodies of seven people, including four children, were found on Friday, had been described as a "piece of paradise" that provided both "privacy and protection". Early on Friday morning police discovered the body of Katrina Miles and her four children, aged from eight to 13 years old, inside one of the homes on the property. Two further bodies were found outside the building. The property, in Osmington which is about 20km north of the tourist town of Margaret River, belonged to Katrina's parents, Cynda and Peter. Katrina with her four children. Western Australia Police said they were alerted when a "male person" connected to the property called police early on Friday morning. The force has since described what they found as a "horrific tragedy" which it is thought is being treated as a murder suicide. All the victims had gunshot wounds and two firearms were found at the scene. Cynda Miles, the grandmother of the four children. 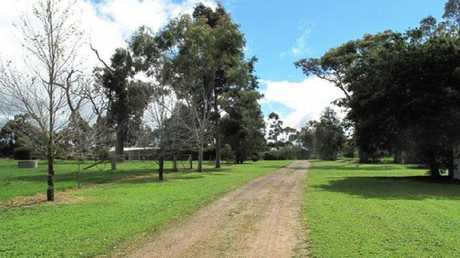 The Miles' 30 acre property was a well-kept patch of land in the tiny settlement of Osmington which stretches along a rural road heading east into the bush about 16kms from the Bussell Highway, the main road from Perth to the state's picturesque south west coast. It came into the family's ownership in December 2014, when Cynda and Peter bought the hobby farm for $820,000 according to RP Data. Located between vineyards and farms, it was called a "piece of paradise" by the real estate agents. "A leisurely drive taking in the view of the rolling hills down Osmington Road, just 15 minutes from the Margaret River town centre is the tree change you have been waiting for. 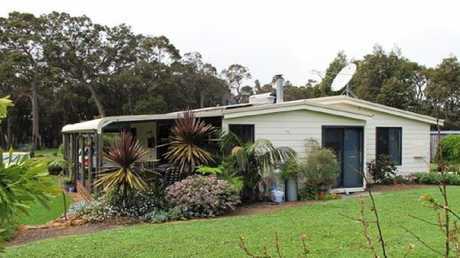 "It's 'not too big, not too small', the property is slightly undulating ... with a native bush boundary giving you privacy and protection from the elements," the description said. "The homestead paddock and entrance has amazing gardens full of fruit trees and flowering natives bringing in a menagerie of bird life. 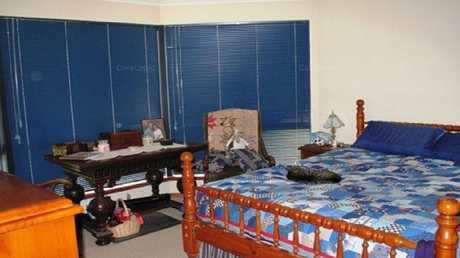 It truly is one of the best hobby farms in the Margaret River area." The driveway leading up to the home. 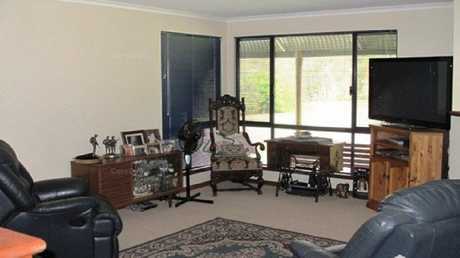 Pictures from the sale show a spacious home simply furnished. 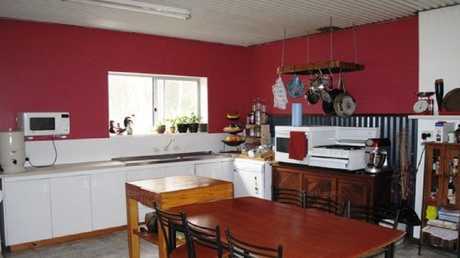 The kitchen is painted a deep plum red with wooden furniture. The main house features a family-sized living room and master bedroom with large bay windows to take in the expansive views. A large north-facing veranda, ideal for relaxing on sunny afternoons, is fringed by greenery. When the Miles took ownership they set about making the place their own including the conversion of large five bay machinery shed into another residence. It's thought the grandparents lived in one house and Katrina and the kids in another. Vegetable patches dotted the property abundant with cabbages, citrus, potatoes and custard apples, according to posts of Cynda's Facebook page. Chickens and pigs roamed the land. One of the largest pigs was named "Dwalin" so called because it was the "biggest dwarf in the Hobbit" Cynda said on social media. When they moved in, there was a second simpler home on the property, a "little 2 by 1" which at the time was rented out. 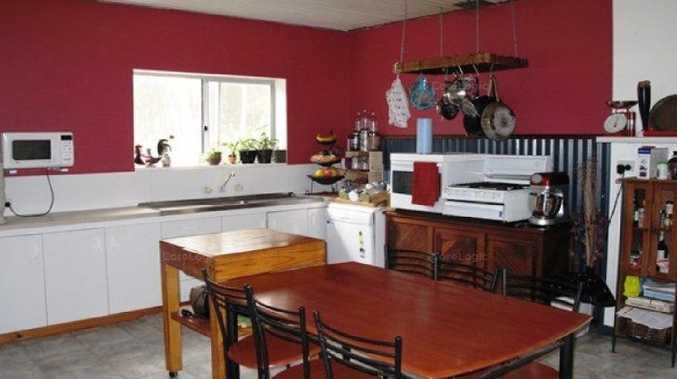 "The current owners run the property as a hobby farm and are very meticulous with the upkeep," the real estate description stated. "As for stock, besides the dogs the owners are running 10 head of cattle plus calves, there are also chooks, geese and a pig named George." The idyllic pastoral setting has now become a scene of horror. "Shocking is just about the only word. I feel sick to the stomach. That couldn't happen here," Felicity Haynes, a friend of the family, told Channel 9 about Friday's tragic events. "It's just horrifying. They were good people. It's not fair." 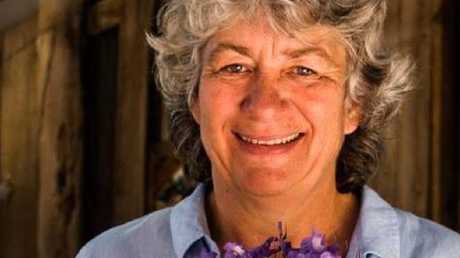 The shire president of Augusta-Margaret River, Pam Townsend, said what happened was surreal. 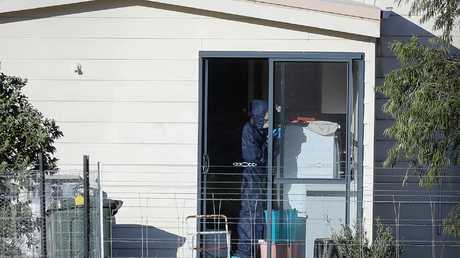 Police forensics investigate the death of seven people in a suspected murder-suicide in Osmington, east of Margaret River, Picture: AAP Image/Richard Wainwright. "It's surreal that this is happening here in our beautiful little community. "When we hear of violence like this, it is just shocking. We really need to talk about violence, don't we, in our society." Police told news.com.au on Friday evening that the process of formally identifying the deceased has progressed and homicide detectives and forensic offers were on the scene. "There is no information to suggest any ongoing threat to the broader community." Mr Dawson described the discovery as "devastating". "This is going to have an enormous effect on young people in the community." 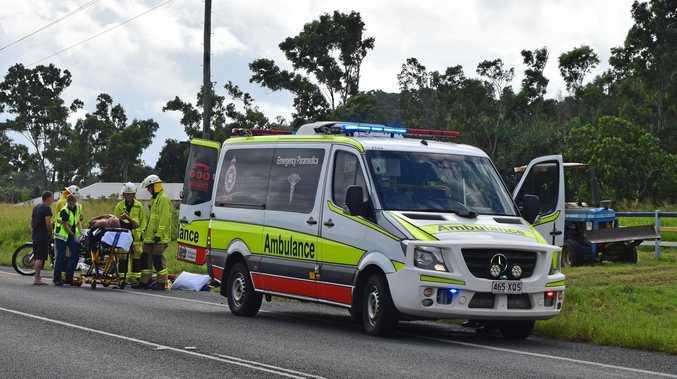 The Premier of Western Australia, Mark McGowan tweeted about the incident, saying the events were "tragic and shocking". Shrubs and plants fringed the main home on the property. A living room in a home on the property.